Finterra Pte Ltd confirmed as the Official Gold Sponsor for World Blockchain Congress Bahrain 2018. TraiCon Events Private Limited is pleased to announce a collaborative partnership with Finterra Technologies to be one of the Premium Gold Sponsor at the “World Blockchain Congress- Bahrain 2018” .An initiative by TraiCon to further enhance the implementation of Blockchain technologies in Bahrain which is working in line to with countries vision of adopting Digital Currencies like Bitcoin amid a wider impetus toward a ‘Country Level’ adoption of Blockchain Technologies. 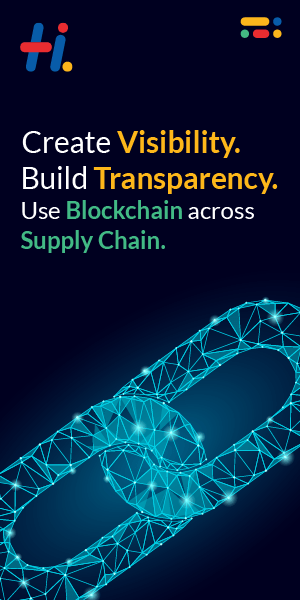 At this 2 days Summit- Hamid Rashid, CEO of Finterra would be presenting a white Paper Presentation on how Finterra has been providing “Social Solutions for Blockchain” from the year 2015 and also how they are looking at bridging the gap between consumers and providers through technical advancement of Finterra Blockchain. Finterra aims to be a global leader in next generation Fintech, providing “Social Solutions for Blockchain”. We are committed to the continuous growth of our community and the technical advancement of the Finterra Blockchain model. Our ongoing purpose is to promote community growth and development, offering a truly global, fully inclusive platform, bridging the gap between consumers and providers through multiple services that include an Open Source Development platform, Loyalty Points Exchange and an environment that supports the development of Endowment (Waqf) assets. The Foundation is headquartered in Geneva with satellite offices and teams peppered across Singapore, Kuala Lumpur, Hong Kong, Abu Dhabi and New York. Finterra envisions to be a global leader in the next generation of Fintech, providing a total “Social Solution for Blockchain”. Finterra is committed to the continuous growth of our community and the technical advancement of the Finterra Blockchain. TraiCon Events Pvt ltd is a 6 years successful ongoing industry in the event market completing global events from different industry sectors. They are mainly specialised in connecting the right delegates with potential companies in current focusing markets. TraiCon being a sales driven platform, this time prepared to bring the Top Investors, Advisors, Founders, Thought Leaders, and Stake Holders of the Industry to the exclusive and captivating environment to do business in the 1st Edition World Blockchain Congress Bahrain 2018 which is going to take place in Hotel Sofitel at Manama – Bahrain on the 29th and 30th July 2018. Internet Attorney, Andrew Rossow, Brings Unique Millen . . . Leading Investors, Business Leaders, and Influencers J . . .
PwC and Francophone Africa Partner With Request Networ . . .
StreamIn announces its blockchain-powered live streami . . .